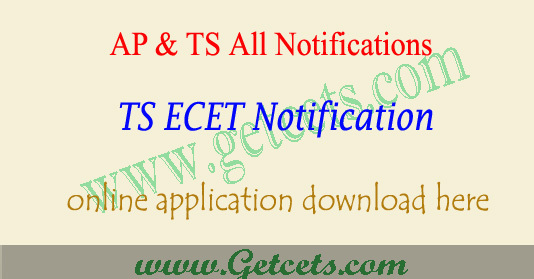 Candidates can check TSECET 2020 notification, ts ecet application 2020, ts ecet apply online last date, ts ecet online application 2020, hall ticket download, Answer key, results and counselling dates through this article. TS ECET exam will conduct on May 2020. Applicants who have qualified exam are eligible to apply for the ecet exam. Candidates have to pay Rs 800 general and Rs 400/- for SC/ST candidates as application fee to write the examinations. For more details please visit official website ecet.tsche.ac.in. 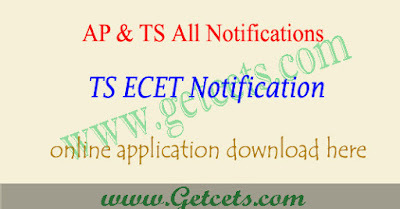 Submission of Application form for TS ECET is through ONLINE mode only. Detailed information regarding Syllabi, Procedure for Online Application etc., is given in the “Instruction Booklet”, displayed in the website www.ecet.tsche.ac.in.